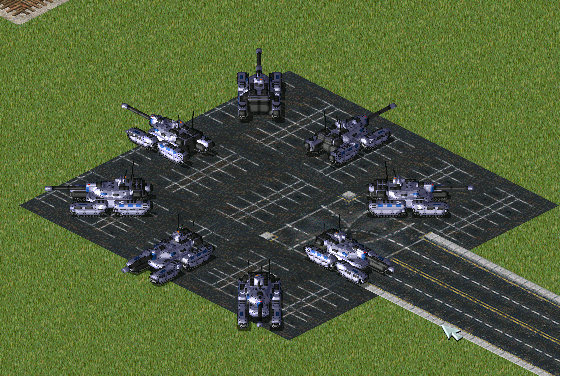 A mammoth tank's chassis from C&C3 (we don't mention 4. We just don't), and a huge, single-barreled turret on top, with what looks like a small AP gun. 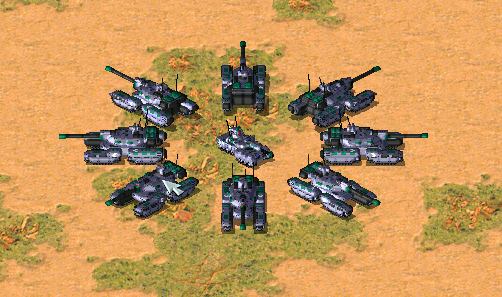 If only this is two-barreled, this is easily another good Mammoth Tank voxel. If only barrels weren't the easiest thing in the world to draw. Can anyone cobble together a Cameo? I'm not even slightly arty. Overboard on the black dots in my opinion, akin to the old black dots from not filling the insides. Tank looks amazing, my only critique is that there should be more remap regions and the ones that exist should be brighter. In-game it's very hard to tell them apart! 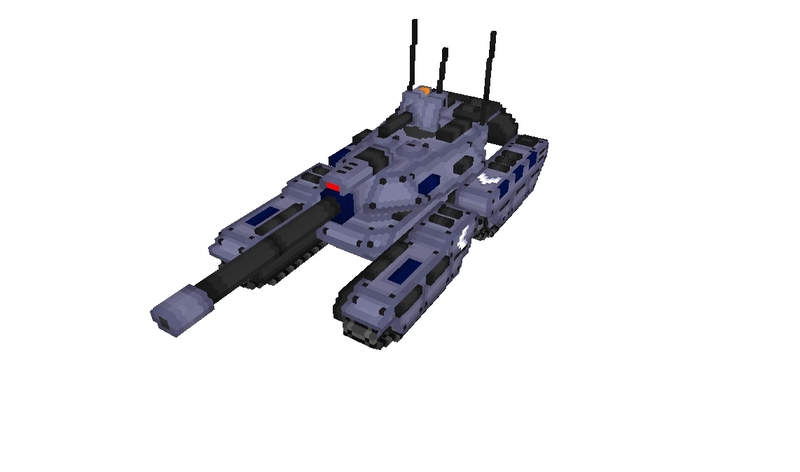 The turret especially should have some prominent remap regions. You have a lot of black detail pieces, those can easily be turned into remap regions. Something like this maybe? I take it this'll be Foehn's new tank? Either way, little guys like me working on personal projects benefit immensely from high quality public assets like this. I hope to see more like it! Is Creator doing work for MO? Seriously, just cut the guy some slack, he worked hard on this, the voxel is already fine, yet you just say more remap regions? If you want more remap regions in a voxel, just edit the voxel yourself, it's not that hard. His style is his style, the grayscale details add more personality to the tank, period. P.S. Let's leave this thread in peace please, it's not like it's going to be revised by Creator as it is already released. I did edit the voxel myself, I even took a screenshot of the voxel with my own revisions! I'm obviously not too lazy to edit the model myself, I was just throwing in my own constructive advice for future works. And I clearly loved the piece and respect his work... at no point did I say the tank was bad, in fact I said it was amazing. Not sure why you're getting so defensive? I was just trying to be helpful. Didn't think so, TAK02's comment is what threw me off. I thought he was referring to MO's new faction The Foehn Revolt? 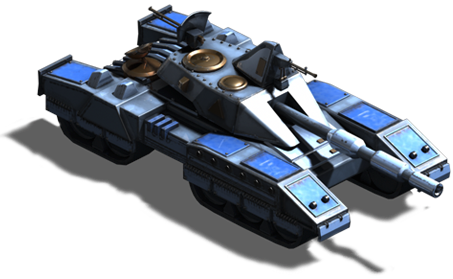 This tank reminds me of the Challenger Tank from War Commander.